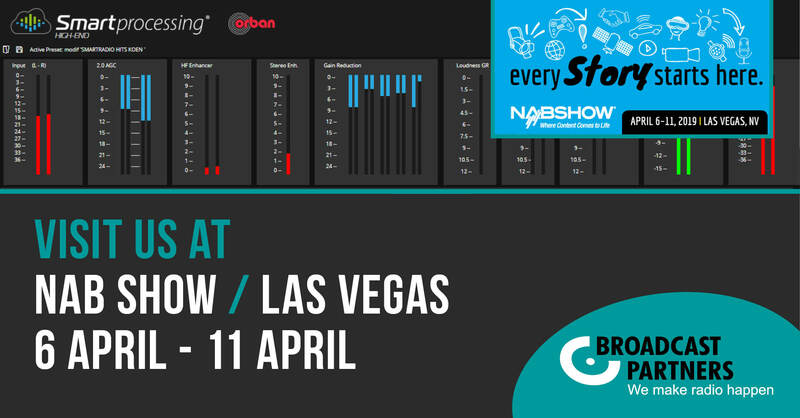 SmartRadio® will be attending NAB 2019 in Las Vegas again this year. We look forward to demonstrating our latest developments to you. SmartRadio is a cloud- and web based radio-as-a-service platform and consists of different components and can be easily customized as of preferred requirements. Cloud multichannel production possibilities for live- and on demand purposes are available in a very user-friendly web interface. At NAB SmartRadio will launch their newest web based Smart Player and 3 Smart Processing products (basic, medium and high-end) on Orban booth N4120. Also at NAB, we can demonstrate an impressive solution for detailed analytics brought to you by our partner, SmartOcto. In the user-friendly interface, engagement and reach figures are available for story based, audio and video content. Come and see all the possibilities to achieve a true data-driven production environment.